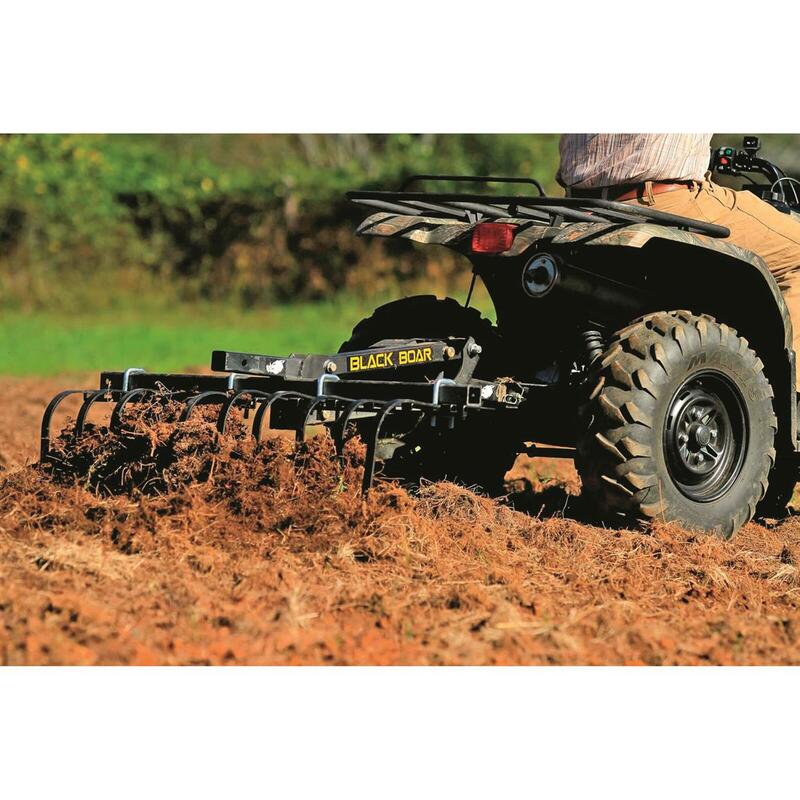 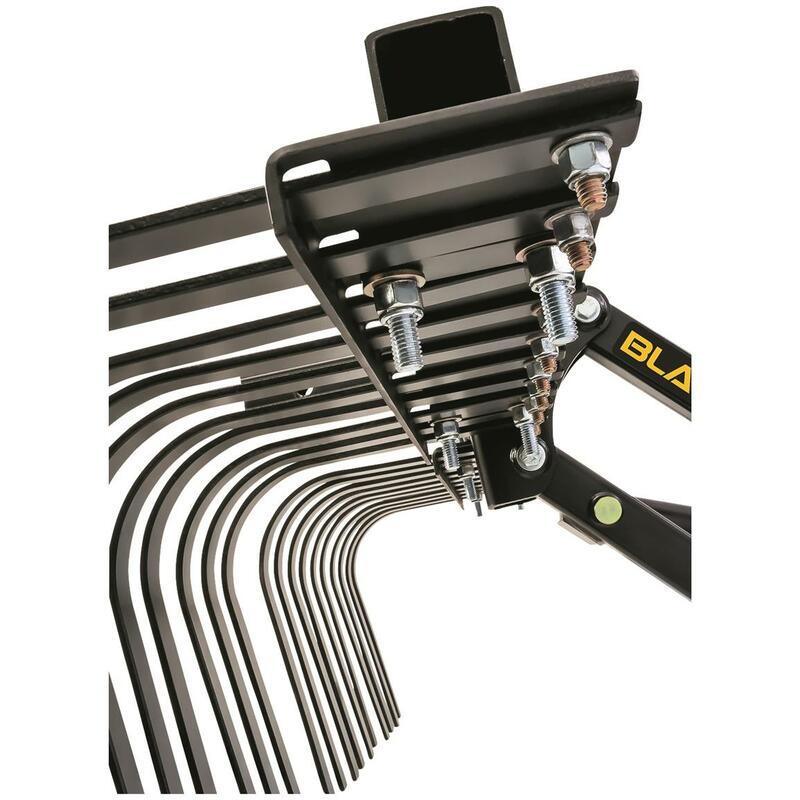 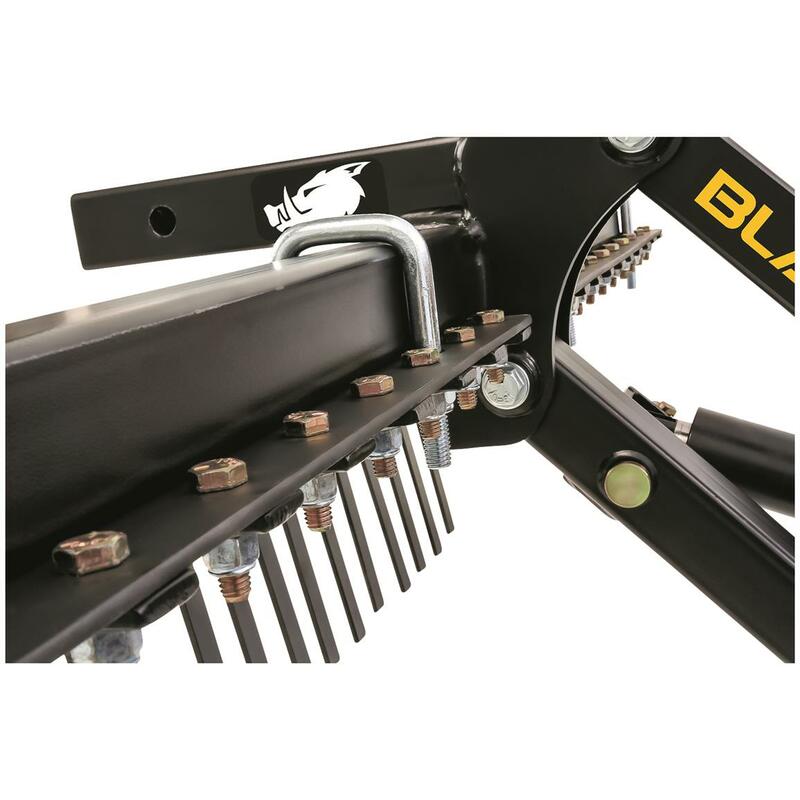 Whether your clearing a trail, preparing your food plot for seed, or raking debris to tidy up another area of your property, trust the Black Boar Landscaping Rake to handle the job simply and efficiently. 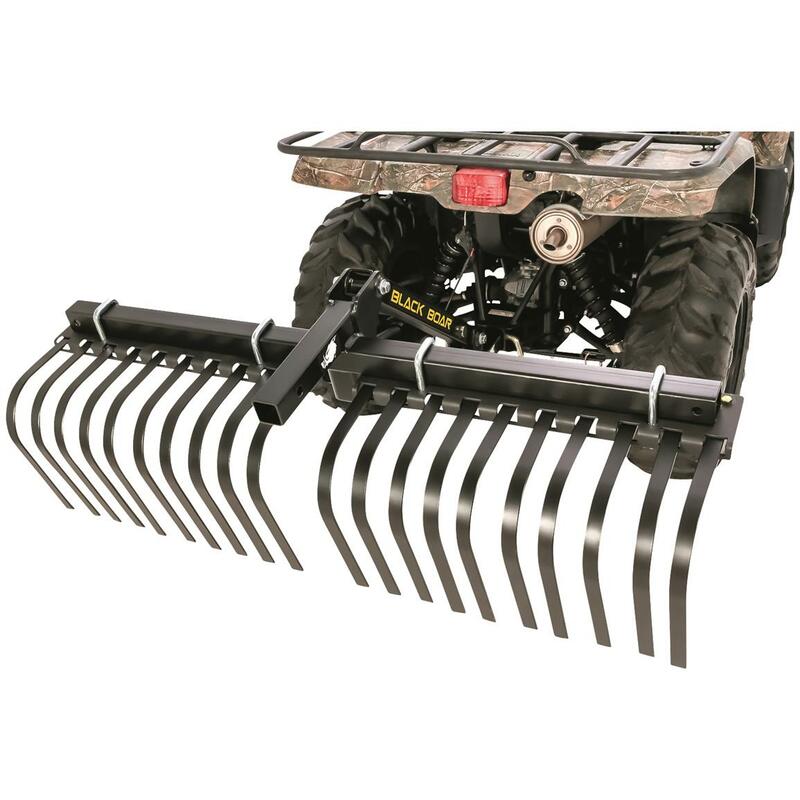 The rigid design utilizes the entire length of the rake, meaning debris won’t gather in the center or bow out the sides. 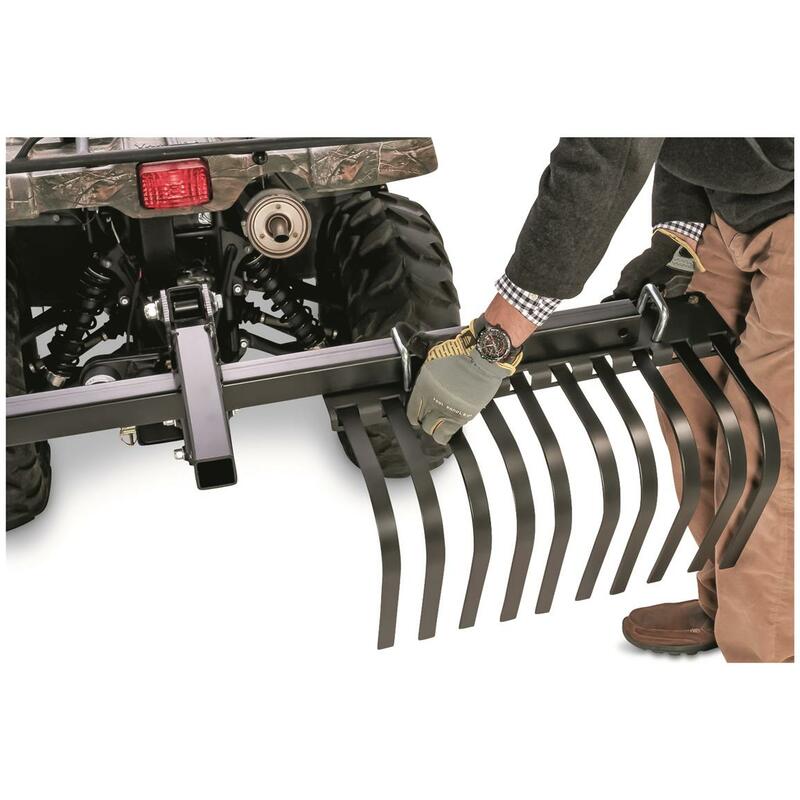 And each tine is removable, so you can customize the coarseness of the rake. 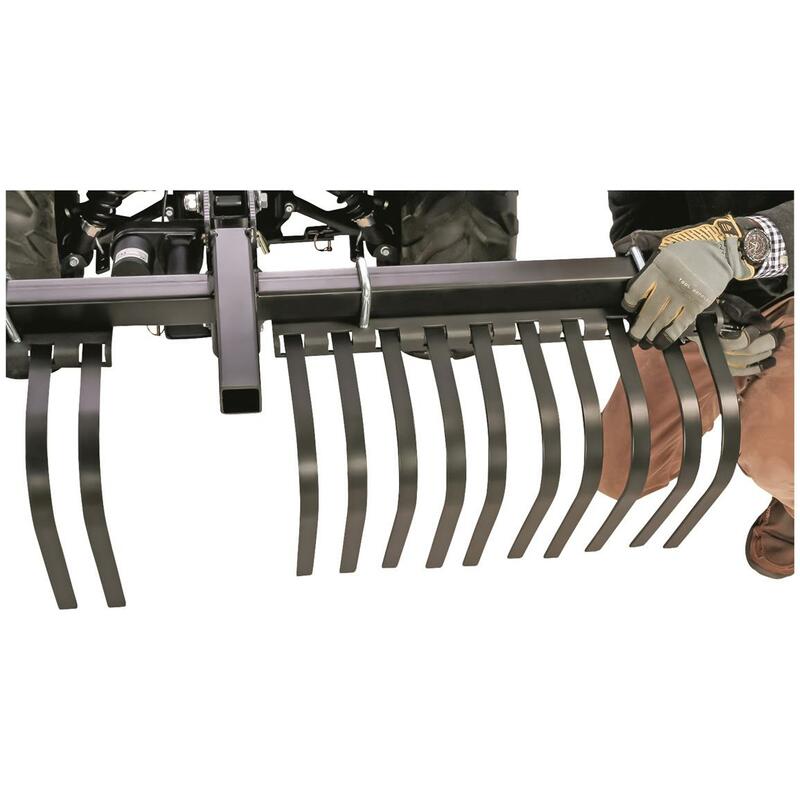 Fewer tines are better for heavy debris, while using all the tines work great for lighter jobs. 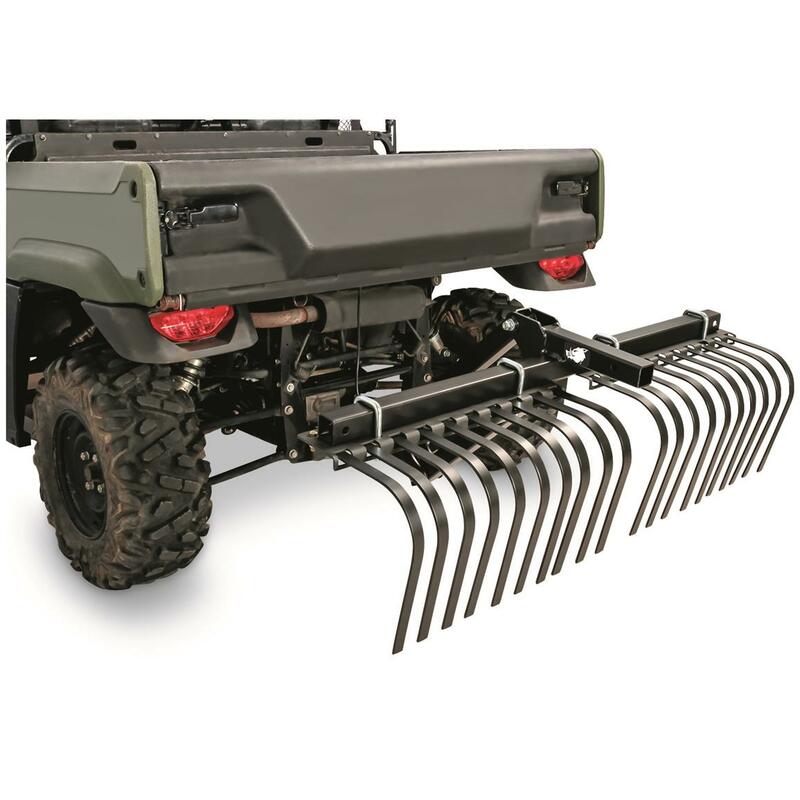 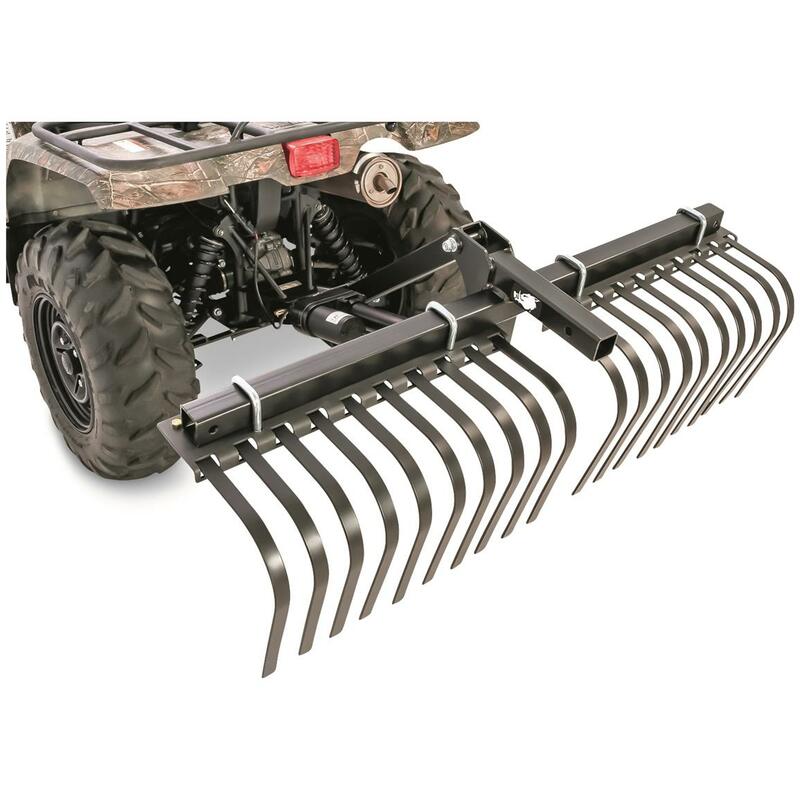 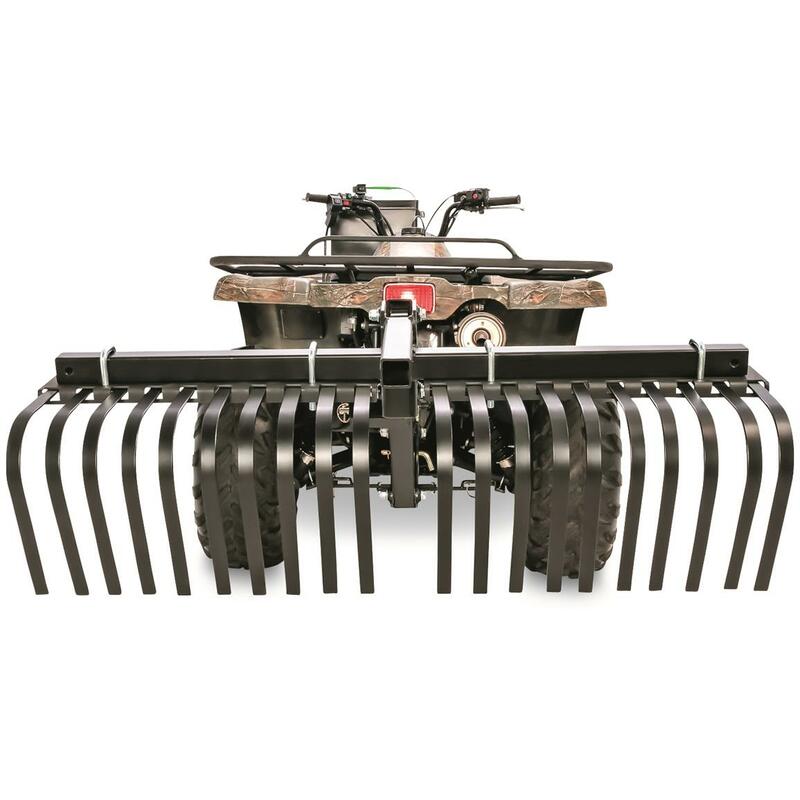 Black Boar ATV Landscape Rake is rated 5.0 out of 5 by 1. 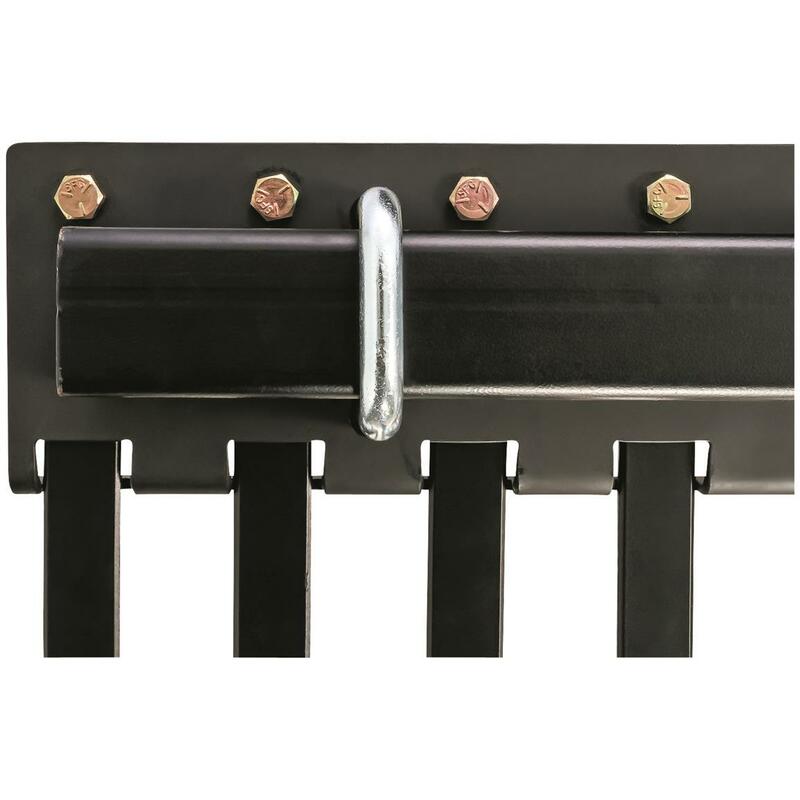 Rated 5 out of 5 by jaybird from AWESOME!! 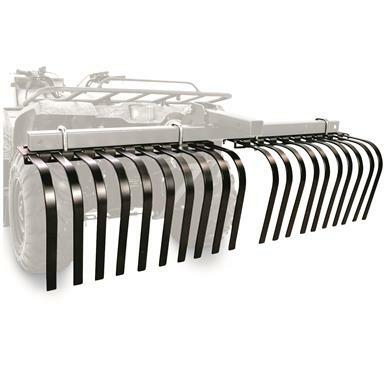 Very quality! 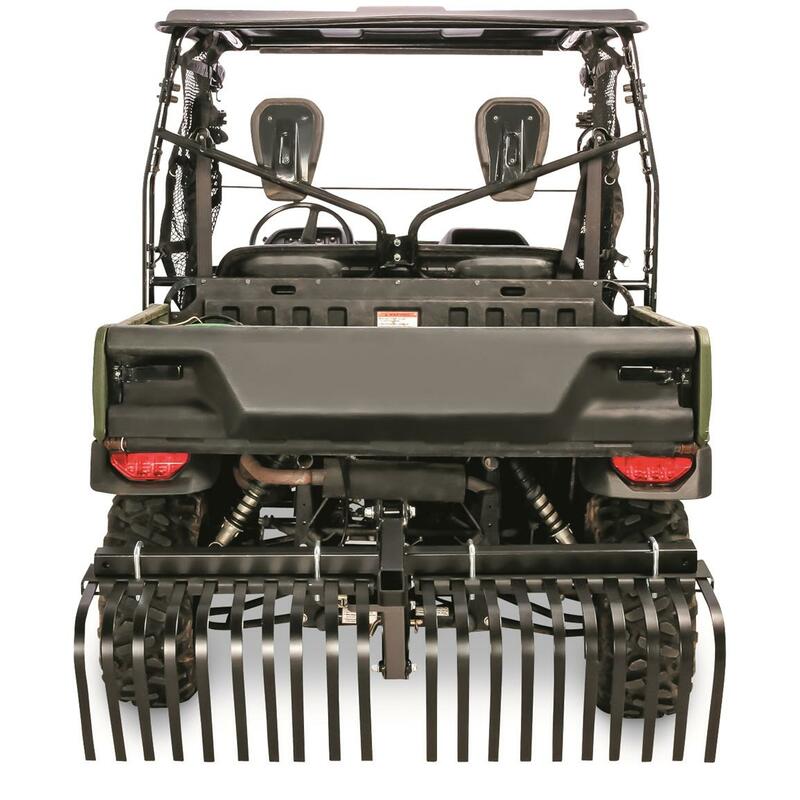 Wasn't sure what to expect, but was very pleased with the quality of both this and the manual implement lift!